My thirtieth birthday is fast approaching and to be honest… I’m okay with it. I know that’s probably unpopular—I know I’m supposed to be worried that I’m getting “old” and that I should have my life sorted as I approach this important milestone. But I was never one to do what I’m “supposed” to do. I prefer to not buy into rules that restrict and limit me. So I thought: “why start now?” And then proceeded to book a trip to Palm Springs to reflect on and celebrate this past decade with some incredible friends, my puppy and a lot of cheese . That’s where I’m writing to you from now, coffee in hand sitting by the pool reflecting in my journal. And maybe it’s the desert heat or the impending birthday that got me thinking: my twenties were unbelievable. I am so grateful for the lessons learned, for the things I’ve survived and the big decisions I’ve made (both right and not so right). The sole (soul) mission of your twenties is to find your purpose—your reason for being in this world. This is how I “did” my twenties and, in my opinion, there is no better way to “do” them. There’s no better time to recreate you, experiment, make big decisions, and do hard things. I have the amazing privilege of being here right now, writing this, sitting by the pool surrounded by people that I love, because I dedicated myself to finding and crafting purpose in my life. And I feel obliged to convince you that you should, too… you incredible twenty-something. You have fewer obligations than you will in the future. Without a marriage, kid, or mortgage to attend to, you have the time, space, and room to discover who you are and figure out what you want from life. If you do your twenties right, you’ll take full advantage of this period of limited responsibility—the stakes of making mistakes are so much lower than later in your life. I calculated and I’ve spent around $170,000 improving myself over the last decade—with courses, a university degree, programs, therapists, the list goes on. Think I regret it? Not for a second. Maybe it seems outrageous looking at the sum total of this expense. But guess what? Here I am—with people I love, doing things I love because I took the risk. And I already know it’s going to pay off in the next decade and beyond. I don’t want to know the Loren who didn’t assume any risk and I’m grateful I don’t have to. You are in control (finally). Your twenties present this unique combination of occurrences. You’re simultaneously gaining independence, while unwinding from all those years of school structure. You’re far enough away from your childhood experiences to gain some perspective, but not so far that you’ve forgotten them. It’s within your control to shed the layers of who you thought you were or thought you should be. You can finally shut out what others are telling you to do and be and find that childlike spirit again. Let the real you reemerge. Get into in alignment with who you really are. Let the residual pain from your childhood go. You are quite literally becoming what you are hearing, seeing, and doing everyday. This cannot be underestimated. There is profound urgency this very fact establishes: you are actively designing the neural pathways for who you are and who you will be in the future. And you can only be and become what you expose yourself to. So my advice is, don’t expose yourself to low caliber people with cr*p ideas that aren’t doing anything. Instead, expose yourself to awesome people that will challenge you to become incredible also. You won’t ever regret it. Life is designed in your twenties and played out in your thirties, forties, and beyond. If you’re going to settle in your twenties, prepare to pay the consequences. You won’t have anyone to blame but yourself. I see too many people rushing to lock things in and “settle down” in their 20s when they’ve barely even begun the task of living. The decisions you are making today will have a disproportionate consequence in what plays out in the next few decades. Laying the proper groundwork now is the only way to hedge against spending your thirties and forties overworked, underpaid, unfulfilled, and lost. It sounds harsh, but it’s true. What flavor of sh*t sandwich would I like to eat? That’s harder to answer, but equally important because the path to living our purpose won’t be easy. It’ll be challenging and require you to make some hard decisions so you need to pick the appropriate sh*t sandwich that you’re will to wake up for every single day. You are quite literally marrying your decisions—make sure they’re worth picking up after. Okay, Loren, but…how do I find your purpose? If you believe, as I do, that finding and re-discovering who you are in fundamental to being a fulfilled and successful human being, and to impacting the world on a massive scale, then you won’t try to “find” the time, you’ll make it. You’ll carve it out of a sandstone slab with a toothpick if necessary. It’s up to you to create the space in your schedule. Stop passively waiting for an “audible click” from the universe to tell you that you’re on the right path. It won’t always happen. Remember, that while you’re waiting for the door of opportunity to open, you may be missing the crack in the window that you can climb through. Literally sit down and block of time in whatever calendars you use to: See a shaman. Learn CBT. Start reading voraciously. Learn to meditate. Attend conferences. Have real conversations. Dive into the edges of your fears and get naked and vulnerable. It will all lead you closer to where you want to be. Schedule it so you can’t avoid it or forget about it. Our destiny isn’t created by accident. It is demanded every single day of our life. And that’s a good thing because life isn’t something we should be locking into place. It isn’t something we should be “settling down” to or “figuring out” by a certain point. It’s meant to be studied, enjoyed, and experienced. So… take your time. Unwind the beliefs that aren’t serving you. Fight against the compulsion to follow outdated dogma. Have the tough conversations. Be selfish for a while. Do what it takes and have a little self-compassion on the journey. Our twenties are as much about finding answers as they are about asking the difficult questions—about who we are, what we value, what we envision, what we want to be, do, and, have, and how to operate in this world. The better questions you ask, the better answers you’re bound to find. Quit trying to have all the right answers and just start asking the right questions. You’ll go much further, much faster. I began and closed my career as a lawyer in my twenties. I’ve spent a lot of time single and dating. I’ve started (and ultimately failed at) a number of businesses. I moved from home to Sydney and now to Los Angeles. I spent a lot of time reading, working with therapists, coaches, and healers, in deep conversation with peers, and alone in my 20s. Every minute and dollar spent was worth it. What I realized is that you can’t build a life around a “negative identity” or an “inverse identity”—i.e. what you don’t want out of life. You have to build a life around what you DO want. 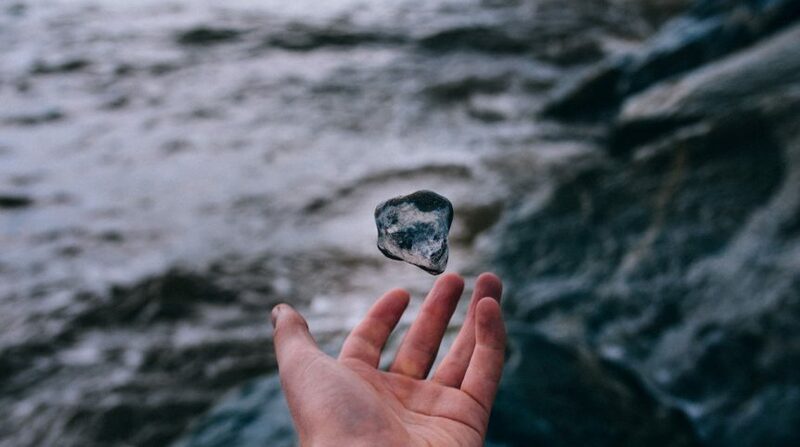 The only way to find what you want is to experiment and explore the infinite possibilities. Surround yourself with new people, books, and ideas. Try new things. Start playing at a 6 instead of a 4. School taught us how to be obedient, avoid any sort of confrontation or discomfort, and memorize information quickly and then promptly forget it. That is totally useless in the real world. Out here, life rewards people who take action and take risks. There is no syllabus. No exam to study for. Opportunities to succeed aren’t going to reveal themselves in the ways you think they should. Don’t miss the window of opportunity looking for the perfect door. PS- the quicker you learn this, the better. Life requires flexibility of imagination—it’s begging you to seize what’s right in front of you. You didn’t learn this sh*t in school. We didn’t talk about how to design a life you love or how to find your purpose in this world. You aren’t “supposed” to know how to do this. And you aren’t failing if you are completely and utterly lost. That’s kind of the whole point. So don’t be tricked into believing you have to figure this all out by yourself. Talk, meet, and share with people walking beside you on the same path. Do the same with those that are ten steps ahead. Be honest and vulnerable. You don’t know what pathways, experiences, and opportunities will open when you open yourself up to them. And besides, no one else has it “figured out” either. That’s it: Your twenties are simply funda-f*$%cking-mental. As I get to the bottom of this coffee, with my friends all around me, I can’t help but just breathe in this moment of gratitude. 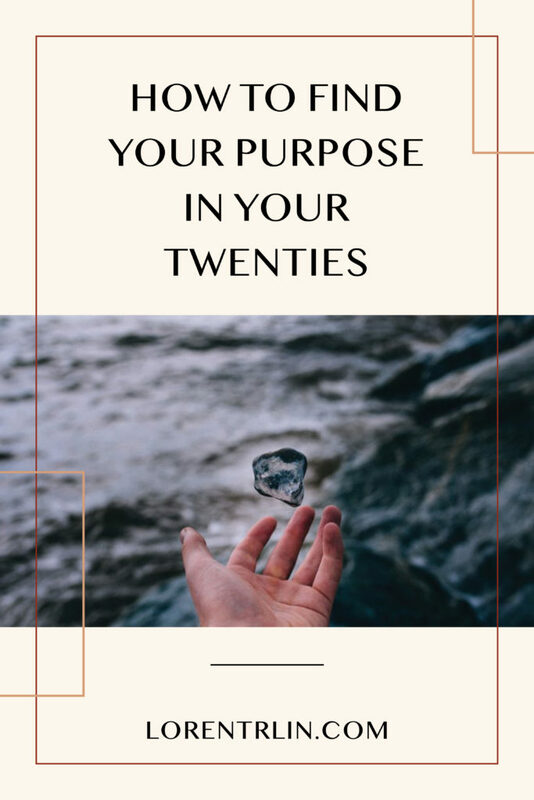 The core lesson I mentioned at the start—that the sole (soul) mission of your twenties is to find your purpose—changed the course of my life for the better. I’ve made the big decisions. I’ve put in the time. I’ve done the work. And now—the trajectory is clear. I’m set up for the life, success, love, and abundance I want in the coming decades. And so, for those of you still in your twenties, I’ll leave you with this… the time to act is NOW. Step on the path and get moving. I promise—when you’re on the brink of turning thirty—you, too, won’t regret you did. AMAZING! Would love a copy for the decision making framework and anything else !